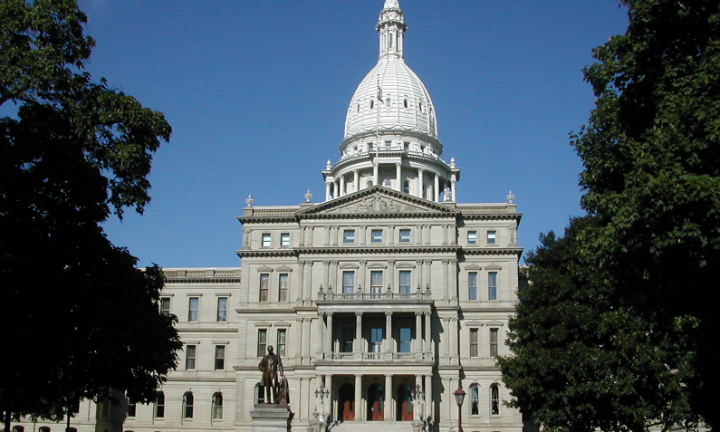 LANSING — As the State of Michigan and it’s residents adjust to recent changes in leadership, many ares like the Copper Country find themselves represented by a new face in both the State House and Senate as newly elected lawmakers tackle the State’s issues. ABC 10 spoke with recently-elected State Representative Greg Markkanen and gained some insight to the inner workings of the lawmaking process. “There’s 110 representatives down here representing the ten million people in Michigan and every district has its’ concerns, it’s needs, and it’s want’s,” said Markkanen. Markkanen was elected in the November election winning the 110th district seat against democratic opponent Ken Summers, who was the party pick of predecessor Scott Dianda. And although the office has changed political party affiliation, Markkanen says that it’s his job to represent all residents of the 110th, and he believes he will do that fairly. “I’m here to represent the 110 on a bipartisan basis while trying to do the best job possible each and every day,” Markkanen said. Weather you’re a left wing or right wing advocate, current issues that he says anyone can agree on include the condition of roads in the State of Michigan, and he hopes that lawmakers will move quickly to bring our roadways back to an above satisfactory level. Lawmakers like Markkanen experience those pot holes first hand. He himself, makes the 1000 mile round trip to the State’s capitol each week.